An impromptu new hair style | Twende pamoja! 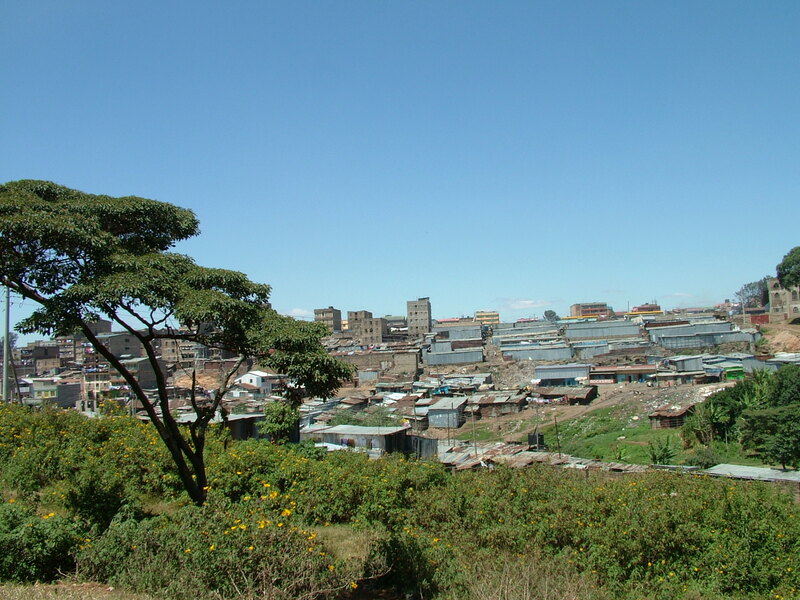 Mathare slum is on the east side of Nairobi. 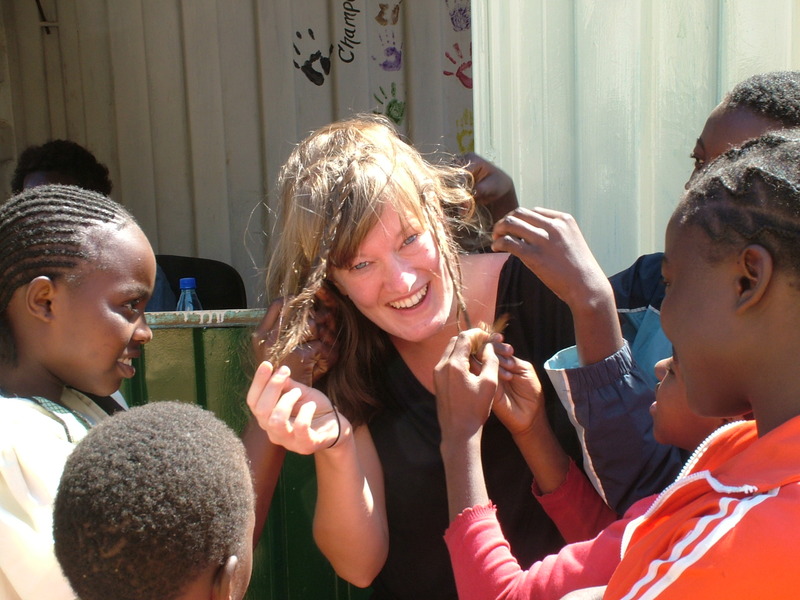 I’d been to visit a school there several months ago and, as ridiculous as this sounds, had found it far grimmer than Kibera, which seemingly by virtue of having the dubious title as largest slum in the city – and debatably Africa – gets far more attention from aid and development workers. The flies roamed in swarms bigger than I’d seen before and the little river running through the bottom of the deep valley was an inexplicable grey colour. Yet kids played nearby and clothes were being washed. At one point, on the banks of the stream, everything you could see was covered it a thick black soot from the fires heating massive barrels of illegally brewed alcohol. So when I was invited to go down to visit another project on Saturday I braced myself. But once we reached the Centre things began to feel different. Children were (semi!) 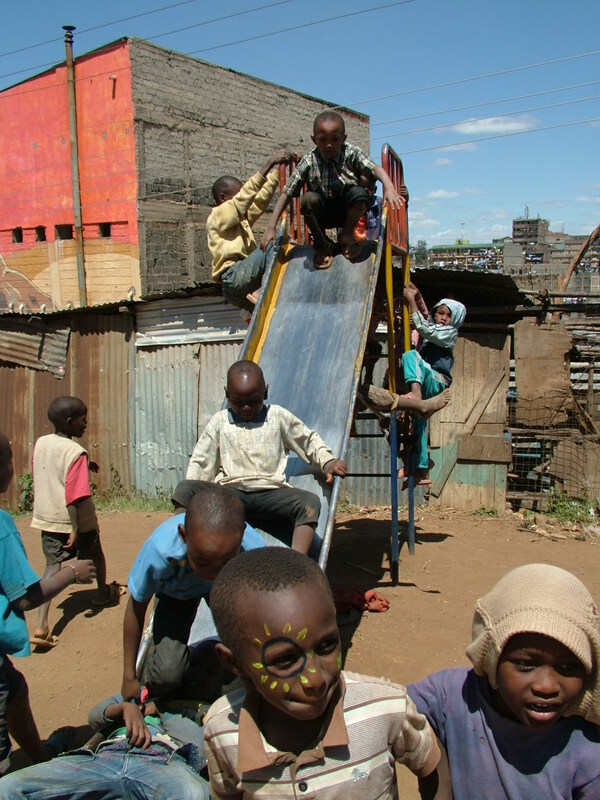 patiently lining up to try kick a ball through a target made out of a tyre and there was a slide in near constant use. In a large, white UNICEF tent a community meeting was kicking off with the mainly female attendees trying to pat their heads and rub their tummies as an icebreaker. Soon another HUGE queue was being formed when the kids realised face painting was going on! Their queuing method was truly ingenious and involved crushing themselves into the back of the person in front while tightly holding onto their arms, I imagine so they didn’t fall over with the force of the 20 odd children doing likewise behind them. Apparently when the swings are unlocked these children are so disciplined that one of them gets the job of Time Keeper and with the help of a stop watch counts out two minutes for each person’s turn before they are asked to get off and make way for the next person! And everyone obeys orders even more astoundingly! Chatting to the one of the young co-founders of the Centre we began to get an incredible insight into life here. Charles was 15, heavily addicted to drugs, hanging out with thieves/ friends and generally headed the wrong way in life. Then he gets shot by the police. A friend had recently stabbed a lady while robbing her and the police didn’t care too much how many young people they took down while tracking the thief. Luckily the bullet wound, which he showed us, was in his leg. He described this as his turning point. 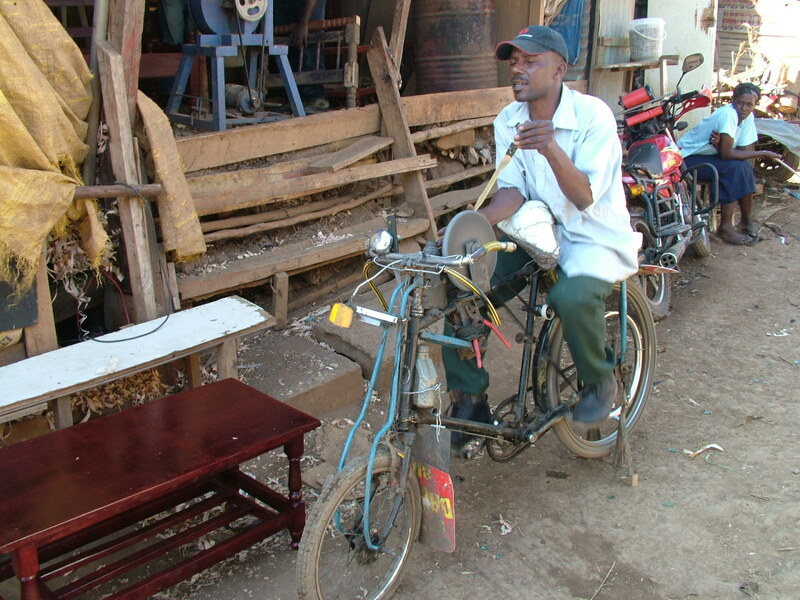 He went to a church, asked for their help in going to a rehabilitation centre and finding a sponsor to support him through school. Ten years or so later and Charles is yet another example of the incredibly genuine, welcoming and generous hearted people I’ve come across who’ve got themselves out of the slum and now come back day after day to try find a way to help others who haven’t been so lucky – yet. On the day we were there Charles was running a session for a group of girls who belong to another project he started called The Big Sister’s Club which aims to pair young girls up with older mentors and hopefully steer them away from a path which heads towards prostitution and drug abuse. 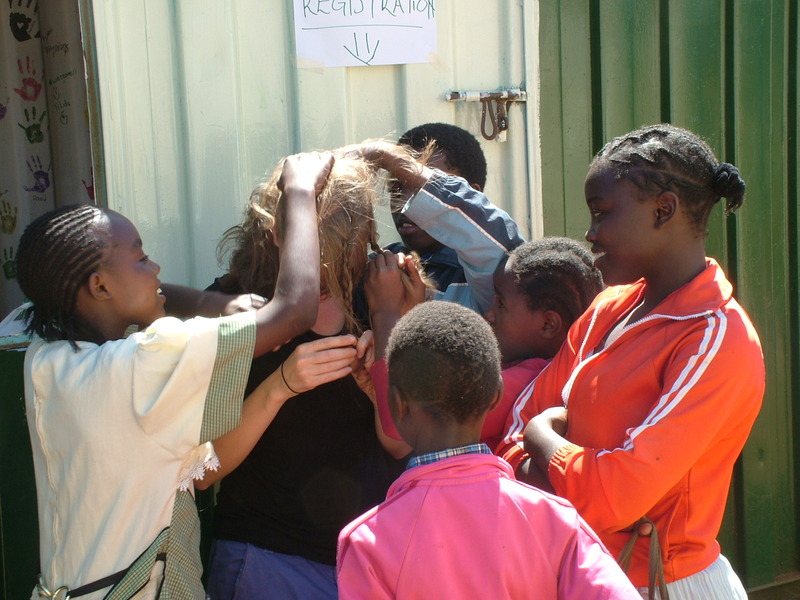 These quite reticent girls turned up around 3pm and, not so keen to have their faces painted, started to amuse themselves by “sorting out” my un-braided hair. All in all the day was great and yet again I was so impressed by how much is going on and how engaged so many people are in trying to improve their communities. It was interesting though to hear more about the role of churches in development. In some ways Charles’s story highlights the absolutely vital role they play in helping individuals. There are few other mechanisms for someone to find a wealthy, often foreign, sponsor to pay the $300 or so it costs to put a child through school each year. And in this respect you have to support them. Two last photos for you to give you a flavour of the place! 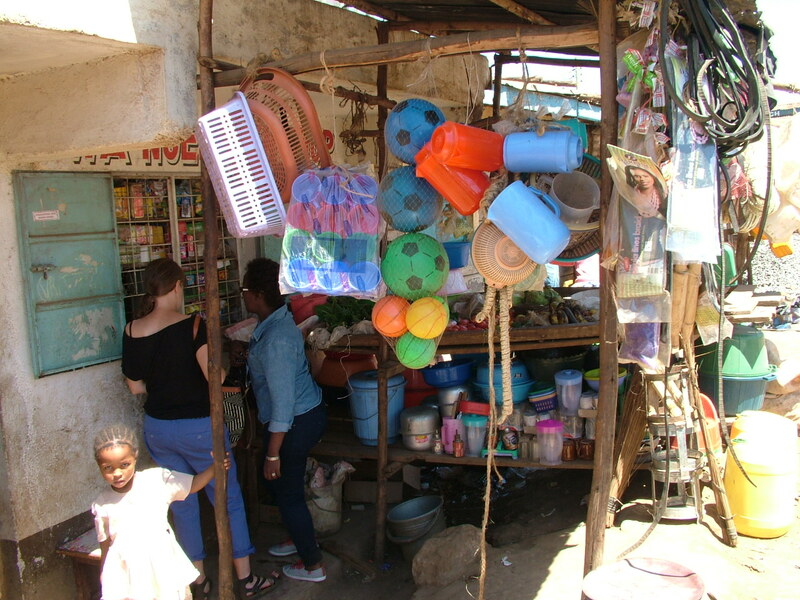 A little duka (shop) selling everything under the sun including very welcome soda baridi (cold sodas). And, my favourite, a travelling knife-sharpening service!